Office/Police Station Telephone No. Fax No. © 2014-18 All rights reserved. Q1. What is Himmat Plus? Ans: Himmat Plus is an initiative by Delhi police. 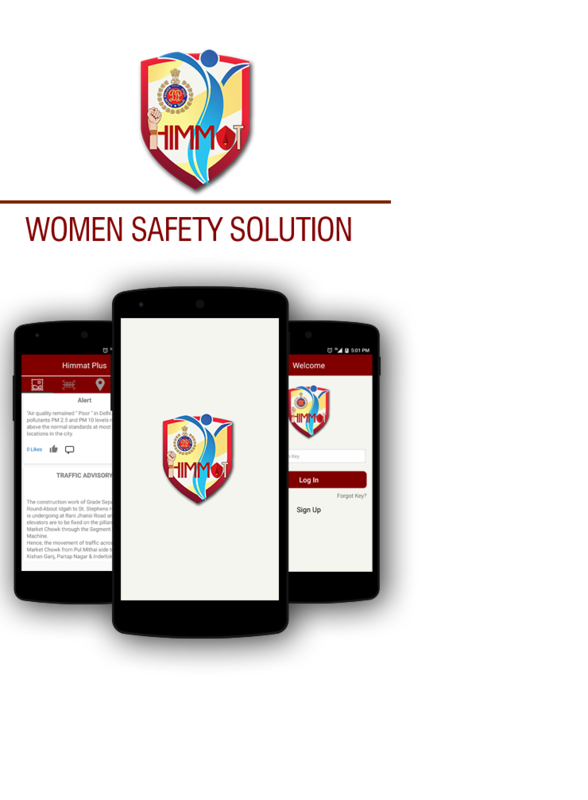 Himmat Plus is an emergency service, comprised of an mobile emergency application, which can send a distress call or emergency message to Delhi Police officials and specified contact or group in an emergency situation faced by a woman. The Police personnel will get these SOS alerts and locations on a portal and as a sms on their mobile phones as well. To know the process click on how it works. Q2. What support will I get in case of emergency in Delhi? Ans: The call will be responded by central police control room, ITO and Police assistance from control room through PCR Van as well as police station will be extended immediately. Q3. Will I get help outside Delhi? Ans: The Himmat Plus Application user initiating call from NCR region other than Delhi shall be extended support through corresponding control room by hotline/ wireless communication. It will not be possible to respond in case you roam out of NCR region. Q4. Where can I get the Himmat Plus App? Ans. You can download it from respective store. Q5. How to configure the Himmat Plus App? / Himmat Plus App asks for a Registration ID, what to do? Ans. Register on mobile app, you will get a unique registration id on your registered mobile number. To activate the app, you will need to enter this registration id. Q6. How does overall app process work? Ans: Yes, registration for Himmat Plus is compulsory. Post registration you will get a unique registration ID on your registered mobile number in a sms. Using that registration ID and accepting T&C in the Himmat Plus App will make the app accessible and then the app will function completely. Q8. How can I know more about the Himmat Plus Intiative? Ans: Click on How It works on the registration page for more information about Himmat Plus Initiative. Q9. What should be the specifications of the phone? 1. Himmat Plus is an mobile emergency application, which can send a distress call or emergency message to Delhi Police officials and specified contact or group in an emergency situation faced by a victim. 2. Correct Location, Information and Communication, with and from the app is dependent upon the basic hardware/software requirements, like - Active Data plan, SMS plan, minimum talk time and active GPS functionality. 4. User must register to avail these services. Q10. How does SOS function? 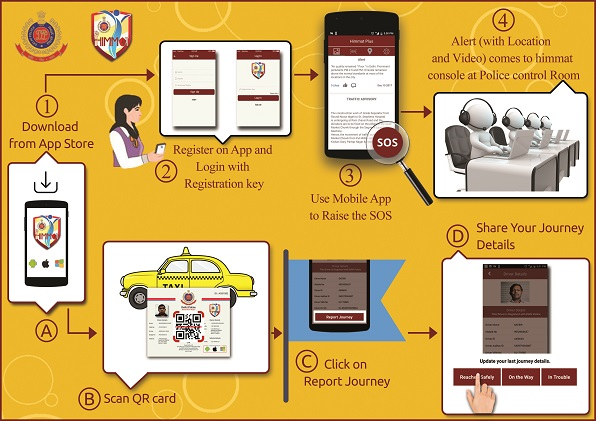 By pressing soft button on the app – SOS button sends SOS sms with location to the police numbers configured at the back end and numbers configured in the app as well. This action will also invoke video and audio recording, so the user can record the surroundings. Q11. How would I know more about the application?